DETROIT (Reuters) -- Mercedes-Benz expects to lose its lead in the U.S. luxury market to German rival BMW brand, which is expected to be aggressive in its incentive strategy this month. The automakers have been in a tight race for the top spot in the competitive U.S. luxury market, with the Mercedes brand ahead of BMW by less than 2,000 vehicles through November. But a top Mercedes executive said on Thursday that the luxury nameplate will likely fall back, even as it posts record U.S. sales of more than 270,000 for the year. "I don't think we're going to win the sales race this year," Steve Cannon, the head of Mercedes-Benz USA, told reporters in Detroit. Cannon, who was promoted to his position a year ago, said that there was no pressure from top executives in Germany to reach the No. 1 spot. 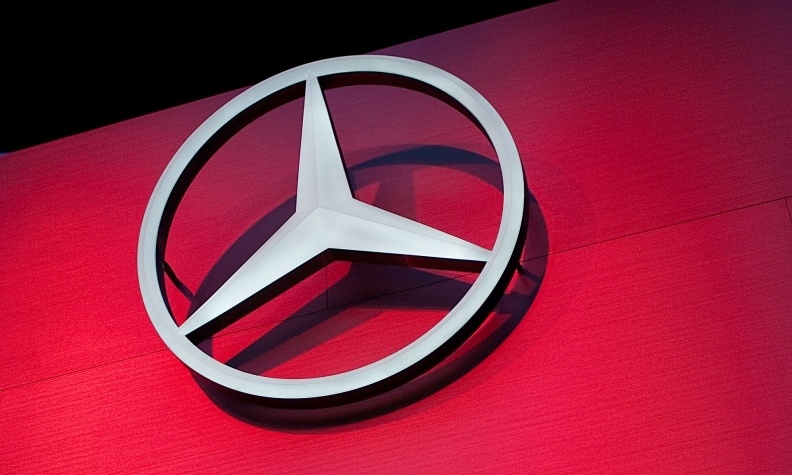 Mercedes' expanded and refreshed lineup drove the brand's U.S. sales to their highest level yet, he said. Both Mercedes and BMW are expected to use incentives and special financing offers to drum up sales during the holiday season. But BMW, in particular, "pulls some very large numbers" in December, Mercedes spokeswoman Donna Boland said. In December, BMW tends to "slather on incentives like butter on toast," IHS Automotive analyst Rebecca Linland said, adding that BMW also markets its deals more aggressively than Mercedes. BMW was the best-selling luxury brand in the United States last year, ending the 11-year reign of Toyota Motor Corp.'s Lexus brand, which was hurt by vehicle shortages after the earthquake in Japan in March 2011. Through November of this year, the Mercedes brand sold 245,910 vehicles, a rise of 12 percent over 2011 and slightly ahead of the BMW brand, whose sales rose 10 percent to 244,061.